[i am a dekaphobic]: [UPDATED] 4th Anniversary Giveaway #5: Racks! 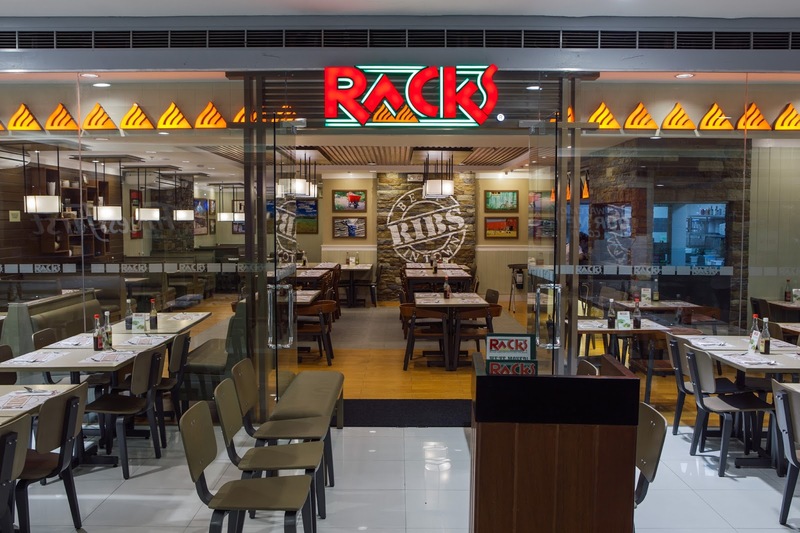 One winner will receive Php 1500 worth of GCs from Racks! 5. Giveaway ends on August 3, 2015. Thanks to Krissy Cruz of ARC PR and RACKS for this giveaway. I love their Onion Brick! i like their chicken barbeque! Since I have a sweet tooth I love their Mississippi Mud Pie it is one of their best sellers for me. I really love it since the taste is really balanced. I want to come back for more. My family love their Surf & Turf family platter because they are really huge and enough to fill our hungry tummy. I also love the Hickory smoked chicken. I love Garlic Scampi Pasta! BIG YUMM! Salmon steak rubbed with Racks secret Cajun rub. Served with salad and fries. Smoked Spring Chicken superb!! yum!yum! I love their Onion Brick & Smoked Spring Chicken. Yummy! Well, yeah, the ribs are the best! My Racks visit wouldn't be complete without it and of course, also without the SOUTHERN STYLE FRIED CHICKEN and the CARBONARA! Smoked Spring Chicken, the best! My favorite item is Racks' Buffalo Wings! I love spicyyyyy! I love the jamaican jerk chicken and pulled pork, and the classic pork rib pasta. Super loved the chicken barbeque! 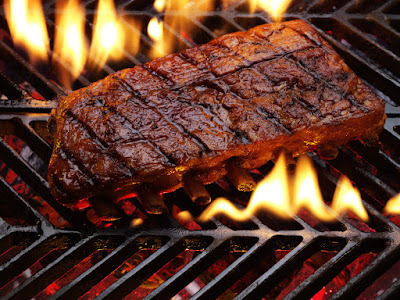 Aside from the ribs, i like the blackened salmon steak. Aside from Baby Back Ribs, I love their MacNCheese! i also love their onion brick! I love the Hickory Smoked Chicken as it is juicy. Full Rack of Baby Ribs and Smoked Spring Chicken.. Yum, yum, yum! I like there Hickory Smoked Chicken, very tasty and yummy! Ribs and the onion brick! We like the Southern Fried Chicken too! I haven't tasted the Smoked Spring Chicken I would like to try that. I love the Onion Bricks. Haven't tried to eat in Racks. Hope to try their full racks of baby ribs and their dessert mississippi mud pie cake :) Hoping to win. I wanted to try there Pan Fried Dory With Lemon Garlic Butter! Di ko pa po natry makakakain sa Racks. Kung sakaling mapili po ako gusto ko po sanang tikman ang knilang baby back ribs. I have not tried any Racks food yet but the Hickory Smoked Chicken looks delicious! 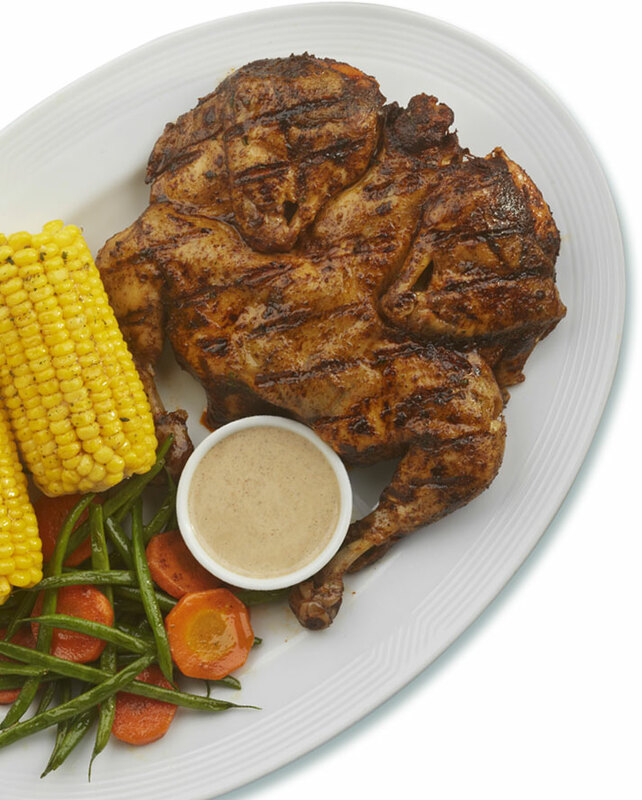 Honestly I've never tried any menu item at Racks but their Smoked Spring Chicken looks really delicious and tempting, I ever I will win here I will definitely try Smoked Spring Chicken. Blacked Salmon! It's really tasty and good!